It’s in the news almost every week now – some new artificial intelligence program surprises scientists by doing something they didn’t think would be possible for a generation. And while the possibilities for better health care, transport, and scientific breakthroughs are fascinating and inspiring, there is also going to be a huge process of adaptation for our culture. In fact, it’s already begun at the workplace. Take a look at manufacturing, mining, and large sections of agriculture and you’ll see millions of human jobs taken over by robots, machines, and more efficient factories. Call centers around the world are about to experience something similar. And the economy is never going back. The world is addicted to the cheap products these processes create, and many politicians aren’t sure how they should address the new work gaps being created. 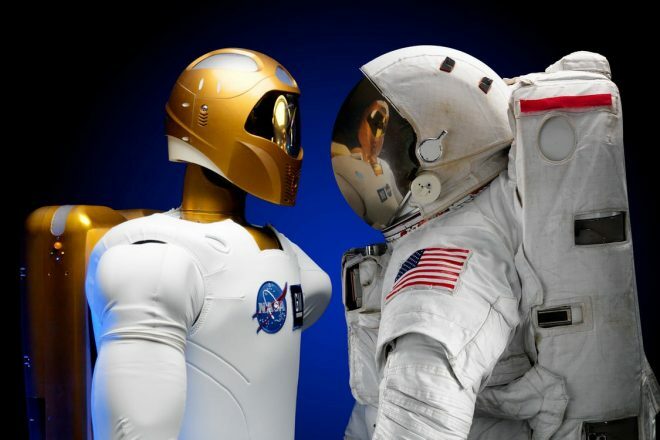 So what do you do in a world where the job you thought you would have for the rest of your life might soon be significantly impacted by artificial intelligence or machines? And if you’re already in a technologically advanced space, how can you optimize further? I’m no expert on the A.I. revolution, but here’s some things I’ll be trying for myself and my company. I hope it helps in some way. What will Artificial Intelligence mean for our work? The first thing we need to note is that no one really knows what is going to happen when it comes to artificial intelligence. Current estimates fall somewhere in between science and radical science-fiction. Guys like Elon Musk and Steven Hawking are worried, and you can read articles like this one that suggest that A.I. will be the end of the human race, or more hopeful economic pieces like this one that suggest perhaps we won’t need to work for money soon because A.I. will do all the heavy lifting. That could be fun! But I think the CEO of GoDaddy is a bit more on-the-money when he says that he thinks about it more practically: what is happening right now and how should people be preparing today? As such, GoDaddy is hoping to show people how to move towards a small business model that is available to almost anyone. All of this can be a bit overwhelming and, for me at least, it’s important to remember that I can’t change the evolution of the human race or the economy as a whole, but I can have a big impact on what I do with my life, work, and income. Small changes over time can lead to massive transformation. So what is a small risk that we can all take? Something with low barriers to entry and easy access to information, training, and results? The Internet has created some fantastic income opportunities for our generation that have never been available before – for many people it represents a huge lifeline. I am eternally grateful that my whole career has been shaped by my attempts to find work online because I didn’t know what to do in the “real world” and I hated college. And I can’t help but evangelize its benefits of the net when I see so many others frightened or confused about what to do with their own uncertain careers. More and more people are turning to the Internet to help sell their products, services, or create something entirely new for the world. For example, I’ve spent the last five years on Blog Tyrant teaching people the ins and outs of starting a blog and growing it strategically as a way to supplement their income in a rapidly changing economy. Those blogs can do almost anything, and they can help you no matter what you do. If you’re an artist, you can use a website or blog to find audiences around the world that would have never encountered you 30 years ago. You can sell to them directly with your own store made with a simple plugin, or you can use an existing website like Etsy. If you’re a writer, you can build a massive audience that know and love your material long before you even launch a book to sell. Go one step further and encourage them to sign up to a mailing list and you’ve got an instant selling platform that the authors of the past would have killed for. If you’re a real estate agent that is used to advertising in the newspaper alone, why not get a simple Instagram account and upload photos of your new listings with hashtags that allow you to tap into the local population instantly and for free? These technologies are cheap, often open-source, and constantly evolving to make your job easier. There are analytics and data programs that automatically tell you what design converts best. There are advert platforms that will put you directly in front of people who are statistically more likely to engage with your work. And, best of all, there is limitless free education available in forums, courses, etc. for people who want to learn how to take advantage of the Internet for their own chosen niche. What if you know nothing about the Internet? Sure, creating a website and learning how to promote your work (or yourself) is a big step that will represent a rather large learning curve for a lot of people. The effort may seem small and insignificant, but the work adds up. Using the Internet to start a business, promote art, network to find new clients, etc. is a long term move. It’s something we can do after work. It’s something we can do on the weekend. It’s even something we can do while we go back to school to get a new qualification. But one of the most important things to consider here is that it’s the art of learning itself that is going to make a huge difference in this new age of A.I. and machine learning. While my own example is not remarkable, I am constantly amazed and the different opportunities I have found by just being online researching ways to make my current projects work. Throughout history we can find countless examples of people who resisted change because it was scary, overwhelming, etc. and then got left behind. Unfortunately, for a lot of people who are trained and working in areas vulnerable to A.I. and automation, we are at another similar historical juncture. Real Artists Don’t Starve encourages creatives to approach their careers differently, and this is all that we are talking about here. We can use the Internet and these new technologies to backup our careers, supplement them, and even find new income opportunities. Whether or not you succeed right away is one issue. But it’s important to keep in mind the big picture: the skills you’ll learn, the networks you’ll make, and the ‘believe in yourself’ attitude that somehow gets developed when you decide to take control of a difficult situation and make something of it. Those are factors that might just help us flourish in an exciting new age. While there is a lot to be said for business plans, marketing strategies, etc. there is also a lot that is learned by experimenting. If you look at successful examples in your niche you’ll almost always notice that their breakthroughs came because they were tinkerers. Unless the Internet changes dramatically through concepts like removing net neutrality, then one of the best things you can do is set yourself up on your own blog hosting that will allow you to build a place online that you own and control. You can brand it, change it, and develop however you need and for whatever purpose your art or work requires. Don’t underestimate how important it is to have your name and brand easily found on Google. Google is not going anywhere. If you’re not ready for that, then start practicing on platforms like Medium or Pinterest that allow you to collect things that interest you, ask educational questions, find people in your area that you might be able to copy/learn from, etc. Knowing the right people is invaluable, especially when you are starting out and need guidance. The next thing you’ll want to do is take a look at the threats that are facing your career, income stream, ability to change jobs, etc. At the same time, you’ll want to uncover any opportunities that might be available to you because of your passions or skills. You’ll be surprised at how many “real world” skills can be brilliantly adapted to the net. Look at stories like Nasty Gal who took a passion for vintage clothes into a multi-million dollar online store, Miniature Sweet who sold over 200,000 products on Etsy in 2015, or the farmers turned web entrepreneurs on Dishing Up the Dirt. These are all examples of people who have used the net to combine with a physical business and see a new success. If you decide to make some sort of change then it can be extremely useful to set a goal and a timeline. As I said earlier, I can be very lazy and if I don’t set a goal then I end up on the research phase for all eternity. Do some reading around and come up with a realistic set of numbers like making a part time income online within two years, selling 10% more paintings on the Internet by the end of the year, or just setting up your own website and online store within a month. Again, it doesn’t matter whether you hit these targets because you learn a lot on the way and the goals often change. One of the most valuable things anyone ever told me was to look for ideas outside of your niche because there are a lot of people doing it better. For example, if traditional newspapers had embraced blogging a lot earlier on and adopted subscription models instead of ads based on traffic numbers, then they might be in a lot less financial trouble as an industry. Things like Google SEO, Facebook advertising, social media marketing, conversion optimization, etc. will benefit almost any industry, on or offline. Professor Sharp has done a lot of researching in to successful businesses and marketing campaigns and found that one of the most vital things is that you find a way to be distinctive and memorable. It’s no longer likely that you’ll be original, so find a way to stand out from your competitors and then work on reaching as many people a you can. The last point I wanted to talk about is how important it is to be useful. The world is undergoing rapid changes in things like science, politics, religion, climate change, community structure, education, and, through all of this, people (rightly or wrongly) are looking for solutions online. Try to make sure that everything you do on the Internet helps someone, even if only in a small way. You’ll also find that they’ll be more likely to talk about you to their friends if you’ve helped them sleep better at night. This leads to a very rewarding work life for yourself and your staff. Remember, you don’t have to do everything all at once. It’s enough that you sit down and try to learn something new. While that won’t’ pay the bills right away, it could be the start of a new stage in your life that brings you a lot of fulfillment. Thinking about robots, artificial intelligence, and all the changes that the workplace is undergoing can seem a little overwhelming. But it’s important to remember that we now have so many opportunities that weren’t possible even just a few years ago. If you’re on this website it’s pretty likely that you’re more creative, driven and curious than average and, as such, you’re already at a huge advantage. So what will you be doing differently in the age of A.I. and robotics? And are you already using the Internet to supplement, enhance, or backup your career? I’d love to hear your thoughts and ideas below in the comments. Ramsay Taplin is the founder and brains behind Blog Tyrant and hails from Adelaide in South Australia. He runs the blog company from his couch and loves clean-tech and smart charities. Great to see you here on Jeff’s blog! Lovely post too. Because it forces us to get clearer on our direction, and to purify our intent, too. But if you are really, really authentic, and genuine, and are writing eBooks and blogging to serve your audience, to have fun and to spread love you will make an indelible impact on like-minded folks who become your readers. That’s the beauty of it. And the more authentic you are, the more the fear of competition (from humans or machines or whatever) dies. Wonderful how well this works. I vibe with you on the creative process slowly and steadily unfolding. I see this with my blog more daily. I see big breakthroughs, then steady, slower growth, but everything keeps expanding for me. You and your billions of eBooks! Ha. How many are you up to now? Actually only 126 Ramsay. I stopped writing ’em a while back so I could actually promote them LOL! In my opinion, no matter how smart AI might get – human problems will still need a human solution. 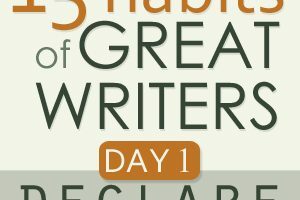 Writing, Storytelling, are powerful human urges: so far, no machine can convey a person’s unique point of view, feelings, challenges, sorrow. Peope won’t be wiped away by AI – but they need to get ready for change. Ramsay, I enjoyed your article. But I’m very concerned about how you brush aside the idea that current permissive attitude on the Internet in the US in West about people “setting up their own modern real estate” could be seriously undone. It’s practically certain that the Trump administration in the US will put an end to legally mandated network neutrality as Obama set it up, so there is not much that the “save the Internet” site can do about it. But there seems to be no evidence that major “neutral conduit” carriers like Verizon, Comcast, ATT, Sprint and the like have any desire to simply block or charge excessively for people’s own hosted domains — although on paper that could become “legal” for them to do at some point. There are other threats, like the undoing of Section 230 in the 1996 Telecommunications Act, because of the Backpage scandal (there is already legislation in Congress). There could be clamping down on the way people self-publish because of a perception that the practice is gratuitous given the terror threat (but your idea of niche blogging means that blogs are more like to “pay their own way”, which could be their salvation). Still, Trump, who at one time said he didn’t lke computers, seems to enjoy Twitter too much for this line of thinking to hold. I’ve covered a lot of these concerns in one of my blogs http://www.billsnewscommentary.com/ I do plan to respond to Ajit Pai myself by July 17, and I’ve write another posting about the savetheinternet site. See especially my posting on NN there on May 11. I welcome comments. June 6 is also relevant. Unfortunately, if I delved deeply into everything that was worrying about the Trump administration I’d never get out of bed – climate change being foremost among them. It seems like, since 2001, freedom of speech and so forth have been under threat in the name of security, but there always is push-back from the population. I do believe that a major change to the Internet like this would be difficult for any government to maintain, but I could be blissfully ignorant. Helping people help people – that’s what you have been “about” since I’ve known you, Ramsay, and this post is another great extension of that mantra. My primary thought these days, when I see “AI this” and “AI that,” is that it will never replace relationships in the meaningful and heartfelt way we all want. Just last week I saw this statement on the B2B website: “AI-powered chatbots that help you build your sales pipeline and cultivate the relationships with your audience.” My position about this very thin slice of what AI can do to advance quality of life: Relationships built by chatbots is a fundamentally flawed idea. And I think you have hit the nail on the head here — none of us knows how great an impact AI will make, but we do know we can be good to one another and use AI to further that human quality. Man chatbots are everywhere now. It’ll be fascinating to see how far they go. Thanks for the great comment, as always. Ramsay, this is a wonderful article. I appreciate how you looked at AI from different perspectives while encouraging us to think about the future. But this also resonates with my current plans for business and finding purpose in my work. If I hadn’t started a blog, I never would have written my first published article for an online magazine. I also wouldn’t have become as interested in climate change and the environment. Now, I’m preparing to merge all of this with an Etsy store that reflects my environmental concerns. I’ll eventually have a store on my website too. One day I’ll get around to writing ebooks. I encourage anyone who’s thinking about starting a blog to take the plunge. I’ve learned so much, and you never know what kinds of opportunities and new interests will develop from taking that first step. Even though I’ve made a lot of mistakes, and I’m sure I’ll make new ones, I’m thankful for how much it’s enriched my life. Thanks, Ramsay and Jeff. You both play such an important role in creating a sense of community in the writing and blogging sphere. Such a lovely comment. Thank you. Amazing Ramsey .I am a doctor blogger and I am exploring Internet as a way to do more .I agree with you when you say we should embrace and find ways to make A I work for us .While I love technology and always wiling to learn more ,we have to remember we humans create AI . We are responsible for making it good or evil according to usage . Helping one person every day is also my goal . I have tweeted this article 3 times and pinned it too so that I don’t muss all the awesomeness you have linked too. I also want to frame this ,”If you’re on this website it’s pretty likely that you’re more creative, driven and curious than average and, as such, you’re already at a huge advantage.”Makes me happy . Keep rocking Ramsey .Congratulations Jeff on writing another fantastic book . Thank you so, so much. I really appreciate that. I started following your blog while doing research as I started a YouTube channel. I am consistently impressed by how forward thinking your work is. I am happy that you have guided me to to this blog that you are guest blogging on and I am sure I will be spending some time reading blog posts here as well. 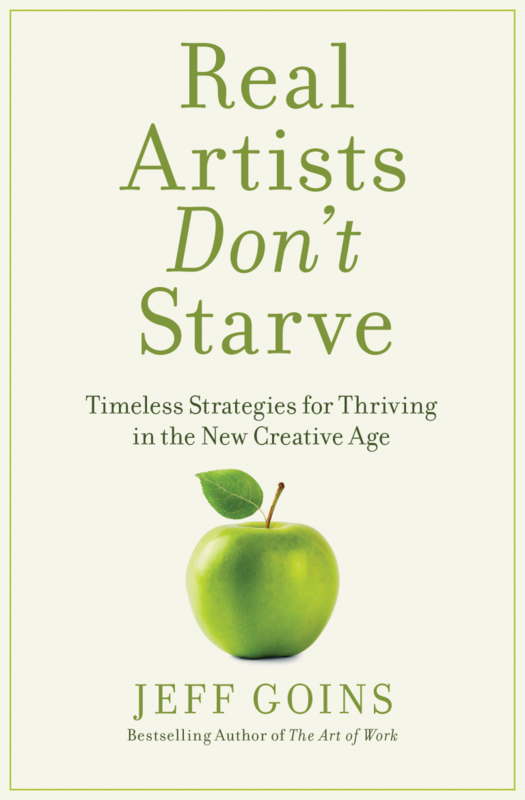 The title “Real Artists Don”t Starve”hits home. I started as a painter but after little success selling my realistic paintings in a post minimal market, I found work as a woodworker. I made reproductions of 18th century American furniture for 15 years until that market dried up. I have started my channel to share my experience. I value the points made by previous posts that AI can’t replace the connection that bloggers make with their readers or their unique perspective they bring to the experience. However, I must ask what if the interest in that experience dries up due to competition with the AI experience? For example, I could build you a dinning table that would last for multiple generations. All the memories from holiday dinners at that table would last with it and be passed to each generation as the family gathers at it again each year. Until very recently, I could sell that table at a price that let me and the people working under me enjoy a living wage. Recently the market has shifted so much that the customers that have the means to afford such a table are not interested in it lasting but in it being the latest fashion. They are less interested in passing memories down than in being in the moment. The furnishings are seen as a prop for that moment, not an heirloom for the family. I worry that the easy solutions that AI may offer could outshine the deaper, introspective mind that bloggers cater to. I think that it is important for bloggers to continue to share their views and experiences. However, we will need forward thinking bloggers like yourself to help guide the community. That is a very interesting comment. I wonder if a new market will emerge for those “old ways” as the new world feels more disconnected? AI devices still require someone smart enough to program them with the necessary business rules. As in all human endeavors (not just IT), the more complex a system is, the more likely that nobody will get all the rules quite right, so it will be very important to design systems so that things aren’t catastrophic when the inevitable breakdown occurs. Most people intuitively understand this, which is why most people shudder at the idea of driverless cars: if the system does fail while you’re in a traffic stream moving 65 mph, the consequences are very severe. People also tend to reject risks when they feel that they do not have any control (even if illusory), which is why we continue to see air travel as riskier than driving on your local freeway. What’s all that got to do with running a small business? d. If what you are offering can be automated, it will be. If it can be outsourced so someone at minimum wage who works at it robotically, it will be. How can you make your offering so distinctive that it can’t be outsourced? Fantastic comment and I really like those points at the end. It’s hard to figure them out sometimes, but it’s absolutely worth it. It’s a refreshing reminder that the opportunities we have now as aspiring online entrepreneurs were not available 10 years ago. Change certainly can mean opportunity, even if it’s the closing of some doors career wise. (Which is still unnerving, but I’m grateful to also have the reminder that it’s NOT an ‘all or nothing’ situation to get started in a new direction!) AI is changing many things in my former career, enough so that in a few more years it might be difficult to step back in where I was. I can learn, adapt and continue pushing forward, or I can be one of the ones left behind. I think I’ll take your recommendation and set some goals on the better of those two options. Glad to see you here at Jeff’s. Jeff’s blog has been an epitome of providing the est tips for writers and creative people make a respectful living online. And your post takes this topic a little further by making us aware about the real current situations and how it is going to shape the future of us if we don’t change (especially the job holders). The situation is similar worldwide as I see too many jobs sacked here in India too. Loved your take on how artificial intelligence is going to take us over and how we can make ascertain that we still own a income source that we can reply our families on. Definitely going to check out Jeff’s book as I am sure it will be filled with actionable nuggets. Sharing this article online with my friends too (even those who are non bloggers or marketers) because it is high time they get a reality check. Have a great weekend Ramsay. Hey Swadhin. Thanks so much. What jobs do you see affected by AI in India? human-race is dumb (those hockey-stick illustrations are startling). somehow wait for the opportunity when we can finally understand what to do. around, there’s Google, SoundHound, Siri, and whatnot. the current scenario. But who knows, someday it will. opportunities along with it. In case of AI, it’ll be similar (hope so!). We’d ultimately do things machines can’t do, fill-in the gaps and even assist AI to help it do it’s jobs more fairly. And when is the right time to keep up with that change? Now, probably. The internet definitely has the potential to catapult a lot of successes. in. That’s only possible by trying … and I’m trying. Yes, sometimes I have to stop myself from reading WBW because it makes me feel very lost. It’s interesting to ponder but, as my partner says to me: “What are you going to do about it?” Ha. 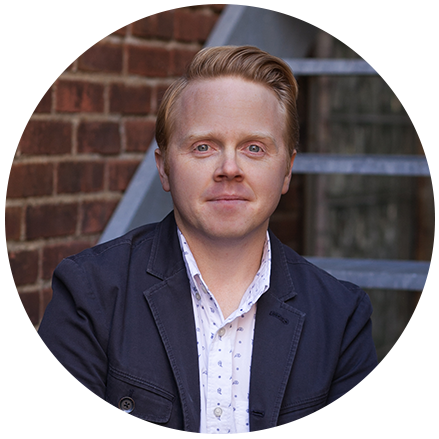 Delighted to see you here, Ramsay, on Jeff Goins’s blog! I remembered the inter-House School Debates we used to have back in school and the then famous topic revolved around whether Scientific advancements were a boon or a curse for humanity. Decades later, I’m presuming AI will be the new debatable topic. Technology is good but we will always need the human touch. I use technology where it helps me with my productivity and staying on top of my game but I prefer interacting with humans on the other side of the telephone line or chat box on a website. Yes it will be interesting to watch. I suspect AI call centers will start out performing human ones very soon. AI is super fascinating to me as a Tarot reader since it is used to do exactly what I do (or what people THINK I do) which is predict behaviour… I shouldn’t be surprised if AI manage to surpass most Tarot readers’ ability to predict the future soon. The reason it is possible to predict it is that most of us aren’t nearly as free as we would like to think we are – we operate on pretty set thought patterns and habits. Some neuroscientists estimate that only 5-10% of the thoughts we think every day are new thoughts… But where I like to think I as a Tarot reader am irreplaceable is when it comes to helping people break through those patterns and start to truly co-create their most magnificent destiny. The Tarot can totally function as both the mirror we need for introspection to help with where we need to change and as the map for helping us get to where we want to be. You can’t beat experience when it comes to using the cards for this kind of work… Or can you? When it comes to online readings, many people already default to the free app readings because they don’t understand that investing in the time and expertise of a seasoned reader is often what it takes to help you have that all-important break-through. The online market is also saturated at this stage, even without the apps, so my next step is going to have to be to start doing more in-person readings locally… I’m ready for it… but for me, email readings is where the magic happens. When I start typing out the information, the action of touch typing puts me in a light trance and I often find myself channelling messages from Spirit… now THAT*S something I’d like to see AI replicate! So yeah, because I do have such a great love for email readings, I’m going to keep following your advice Ramsay. You’re almost part of my spirit guide team by now 😉 Thank you for another great article! I’m really glad this stuff is useful to you. Thanks for the lovely comments. True Human connection will be ultimate differentiator, as like video calling & conference did not kill physical meeting bcz the empathy which we communicate when we shake hands can’t match in video calls. Second unmatchable behaviour which AI can’t do is cognitive thinking where human can apply different past experiences in solving completely unrelated problems. Yes! Regular job ll face the heat… Emotional intelligence ll be key differentiator. I hope you’re right, but I’m not sure. A.I. and robotics is exciting to ponder, but it always makes me think of the line from the movie Jurassic Park when Ian Malcolm (Jeff Goldblum) says, “You were so busy wondering if you could do it you never stopped to ask if you should.” I like to think I am forward thinking, but sometimes I feel we humans rush into things before the ramifications have been fully considered. The Internet has changed how I do my business (no office building needed (save on overhead), no employees needed (outsource online), etc…Yet, it has not changed my standards of treating everyone well or who I am as a person. I hope more people choose this way, too. I see many, many people on forums and online doing very unethical/illegal/sketchy practices. So, as exciting as tech advancements are, it is pretty sad when the basics like honesty and truth get trampled on in the process. Yeah, it’s funny like that. I think it’s this combo of capitalism and an un-checked pursuit of technology as something that is inherently valuable to do. It’s a bit scary sometimes. This topic will only get more attention over time. Glad to be reading about it from you. Always ahead of the curve, eh? I love reading about AI. It’s exciting when you picture a world of such change and opportunity. Started reading Tim Urban precisely after the AI article. Such an eye-opener. Honestly, I’m surprised that internet-savvy folks like us don’t jump right behind the wheel. There are affordable courses on Udemy on AI engineering, and even other flourishing industries like VR and Augmented Reality. Combining the skills of blogging and internet entrepreneurship, along with understanding of these new technologies… now that’d be something. I started as a blogger, and created a fitness SaaS along the way… Other future projects are very likely too. The net is a place where trends start to develop. Being there, means that we can jump right in before everyone else does. As for the question on how I’d change my approach in the world of AI? Well… It turns out that small markets experience change at a much slower pace. So I’d take what I know, and see as trend in the US market, and copy-paste it on other, much smaller markets. Ideally, I should develop better connections with readers and audiences. Remember that Kevin Kelly rule about 1000 true fans? Look at what people are doing on Patreon. Glen’s last article blew my mind. Oh, and I will probably read Real Artists don’t Starve. Seems like an interesting book. P.S. have you read Alvin Toffler? I think you will love “Future Shock” beyond what I can describe. Really interesting point about the smaller markets. And I haven’t read Glen’s latest thing. Probably should! We should also make that quiz bigger and better soon. Will contact you about the quiz! Can’t wait to start working on a similar thing! Great article! Love to see Blog Tyrant intersecting with Jeff’s work. Thanks for the reminder that this kind of work isn’t all or nothing — small efforts do add up! Thanks TJ! Glad you enjoyed. Very intriguing and thought provoking post, Ramsey. Though I don’t believe we will end up like the matrix, it’s good to consider what would happen if technology could replace you. When thinking about the future, I always like to look to the past. This is something that has been happening since the beginning human history. The farmer and domesticated animals took away the ‘need’ for a hunter, the printing press took away the job of the scribe, and robotics are taking away factory positions. The way I see it though, the more labor taken away, the more new ideas and opportunities come forth. With the invention of farming, humans could settle in one place, own property, build a family, and enjoy more leisure time. If more people lose their jobs to artificial intelligence/robotics, and turn to online work as you suggest as a possible solution, the result will be a greater generation of original ideas online, and an economic shift in that direction. That last thing I want to say, is that, in my foreseeable opinion, artificial intelligence will never be able to generate and develop an idea as complex as the human brain can. To that degree, we will always have a place here. My words are my thoughts and my thoughts are me. As a writer, like yourself, those thoughts can never be replaced by something that isn’t you. Anyways, if technology ever produces original ideas, we’re all doomed… Or we’ll just be able to leisure our whole life without needing to work as suggested above. Who knows..
Science fiction has long suggested many avenues for A.I. moving into the future. These writers are predictors of the future. The question is which one bests describes the future we will end up with. The world is changing the question is how will you move? With it, against it, joyful, or fearful? Great post Ramsay! I work for an Ai software company and we talk all the time about how the people who learn to work with the ai will become more and more valuable / irreplaceable. Thank you, Nick. That means a lot. My friends would say I’m usually the negative one. Ha. Ramsay, thank you for yet another well-grounded post. just jumping in without a solid strategy to work from. my site and in doing so, I’ve realised something quite fascinating. was based on Maslow’s Hierarchy of Needs! can all survive in a world that is slowly but increasingly ‘threatened’ by AI. by (a) our own choices, (b) other human beings and (c) mother nature. Insightful article, Ramsay. Thank you. Despite the fears some might have regarding AI, there will always be a need for “spirit to communicate with spirit.” AI, in my view, will never be able to provide that. I also appreciate the positive reframing stance you have taken. I am one of those newbies who decided to get with the program regarding technology (hey, this was huge for me! I only just graduated from a “flip phone” to what I call a “flat” AKA android phone) and launch a website/blog to help augment my private practice. It’s all one-step-at-a-time. thanks you and “just begin” is word for every work magic. Great post once again!! Thanks for sharing.